We act on behalf of our clients as their agents. All relationships between investment managers and their clients include an agreement about objectives and the fees that will be paid. So, in carrying out that agreement, if circumstances or issues should ever arise that contain a conflict with our own interests, we must always put the interests of clients ahead of our own. We also ensure that any conflicts of interest that may arise between clients are dealt with fairly to all the clients concerned. We are as vigilant with costs borne by clients when we engage suppliers and transact with third parties and as demanding of value from the investments we make on behalf of clients as we would be if we were managing our own money. Value for money is key and the outcomes that are delivered, over the stated time horizon, should be assessed for value added after all costs and charges are taken into account. Costs and charges should never be so high as to compromise the likelihood of achieving agreed objectives. People’s needs vary widely. Either alone or with distribution partners, we aim to offer funds and services that are purchased by the types of clients for whose needs they were designed. It is important that clients buy funds and services that are suitable for them. And, it is important that they understand what they are buying. That means, for example, providing information, both to direct clients and intermediaries, that they can understand, which explains the objectives, and which is candid about the factors that may prevent those objectives from being achieved. We also monitor that our investment funds and services remain fit for the originally promoted purpose, taking action if necessary. We ensure that we maintain and invest in the professional skills and the operational infrastructure necessary to succeed in delivering agreed objectives. For example, we ensure that we have governance processes, risk controls, training and technology such that our firms are fit for purpose as well as our funds and services. We explain our fee structures as simply as possible and the structure itself must be understandable. We also disclose all other costs that could be expected to affect returns in a simple transparent manner. We use standardised approaches to provide comparability. We will disclose any material monetary or non-monetary benefit we receive in simple terms and quantified where possible. For example, we will disclose the value of investment research provided to us as a consequence of dealing commissions paid to brokers when we buy and sell investments on clients’ behalf. We are accountable to our clients for our performance, our service and all costs borne by clients. We provide clients or their intermediaries with all the information they need to understand the costs of their investments with us, to judge our performance, and to determine their satisfaction with the value for money we have provided. This information is provided in a clear and understandable format. 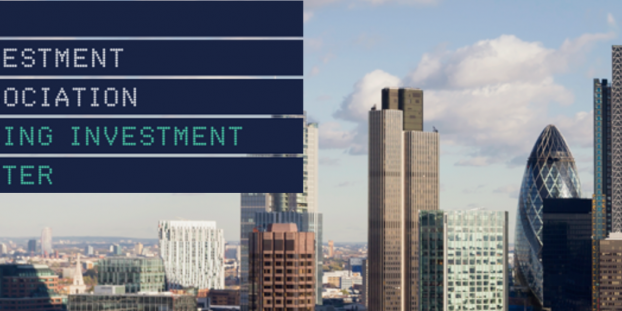 As major investors, we engage with the companies we invest in, helping them to achieve better long-term results and, ultimately, greater returns for our clients and the economy. We use our influence to engage with management and Boards, discussing and supporting companies’ strategies for sustainable value creation, promoting sound and effective corporate governance and management and helping to resolve problems when they arise. We vote in accordance with the interests of clients, and encourage ethical behaviours and culture within investee companies and markets. We believe in these principles. Our senior executives lead from the top to ensure that alignment to these values and understanding of their practical application is embedded in our corporate cultures. This means that our leaders sustain the principles by setting an example, by providing a structure of training, by rewarding good practice and by identifying and addressing misaligned behaviours. We work with our colleagues, The Investment Association and all interested parties to ensure that our understanding and implementation of best practice evolves to anticipate and influence change in capital markets, consumer behaviour and regulation. Compare with the Mission Statement of the Investment Company Institute (ICI) in the US. We use our influence to engage with management and Boards, discussing and supporting companies’ strategies for sustainable value creation, promoting sound and effective corporate governance and management and helping to resolve problems when they arise. We vote in accordance with the interests of clients, and encourage ethical behaviours and culture within investee companies and markets. How do they know what is in “the interests of clients?” For example, do they survey clients on sustainability issues such as global climate change? My own defined benefit pension plan, CalPERS, has 96 pages of global governance principles developed in consultation with members in open public meetings. In contrast, the funds I have invested through ICI members are administered by CalHR. CalHR’s recent RFP requires the contractor to vote proxies “in the best interest of Plan participants” but provides no further guidance as to what that means. The contractor is required to provide CalHR with its proxy voting policies and quarterly voting reports but is not required to provide such information to Savings Plus participants. We are left out of the loop completely. How do we know if the contractor is voting in our “best interest” if we don’t know how they voted? See Savings Plus: Transparent Proxy Voting Needed. While I applaud signatories to the UK’s Investment Association’s Statement of Principles, I would love to see research on how signatories have changed their proxy voting behavior… or any other behavior in favor of clients. Further information on the Association and their Principles below. The Investment Association has published a Statement of Principles which describes in clear and concise language the mind-set and behaviour that are consistent with excellence when managing clients’ money.